The mission of Operation 300 is to provide mentorship to children of the fallen, honor the sacrifice of those who've given their all for our freedom, and promote patriotism and service in our communities. “In Honor of fallen Navy SEAL Aaron Vaughn, Operation 300 is a registered 501(c)3 not for profit organization that hosts adventure camps for children who have lost their fathers as a result of military service. The camps provide an opportunity to participate in activities that embody the spirit of adventure that characterized the lives of their absent fathers while fostering a culture of courage, strength, freedom, endurance, honor and godly morality embodied by fearless patriots throughout the history of our American Republic. 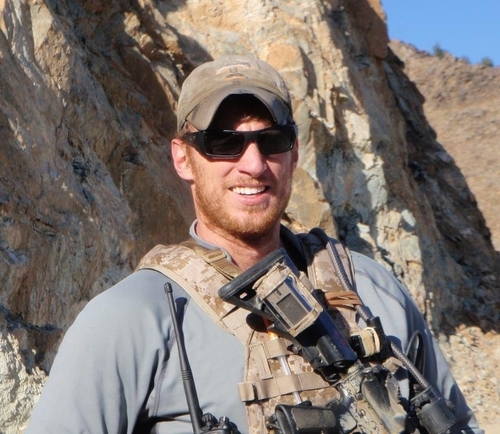 Elite Navy SEAL, Aaron Carson Vaughn, was killed August 6, 2011 when a Chinook chopper carrying 30 American troops was shot down in Afghanistan. Aaron had just celebrated his 30th birthday. After serving in SEAL Team One for many years, Special Operations Chief Vaughn, in May of 2010, began rigorous selection and training with Naval Special Warfare Development Group . He endured several months of the most rigorous training offered in the military and upon successful completion reported to Development and Evaluation Squadron Three in December 2010. Aaron completed numerous deployments around the world, including several combat deployments to Afghanistan and Iraq. He was a highly decorated combat veteran with numerous awards including the Joint Service Achievement Medal with Valor, Navy and Marine Corps Achievement Medal with Valor, Combat Action Ribbon, Good Conduct Medal, Iraq Campaign Medal, Afghanistan Campaign Medal, Global War on Terrorism (Service) Medal, Global War on Terrorism (Expeditionary) Medal, and numerous other personal and unit decoration. He was posthumously awarded the Purple Heart, the Defense Meritorious Service Medal and the Bronze Star Medal with Valor. Aaron gave his life to Christ at a very young age and because of that, he had a discernment that was uncharacteristic of a young boy, including a keen ability to see this world in black and white. He was never afraid to recognize or call out evil. By the time he was eight years old, he began telling anyone who would listen, “One day I’m going to be a Navy SEAL.” He overcame unimaginable odds to achieve that dream. Growing up on a small farm in West Tennessee, he loved fishing, hunting, football, 4-wheeling, mudding, and later, after moving to Florida, surfing. But most of all…he loved his God, his family, and his country. Aaron never took for granted the fact that he had been blessed enough to have been born in the United States of America; land of the free. May his legacy live on through the lives of his children and all those who will be reached by this foundation built in his honor.